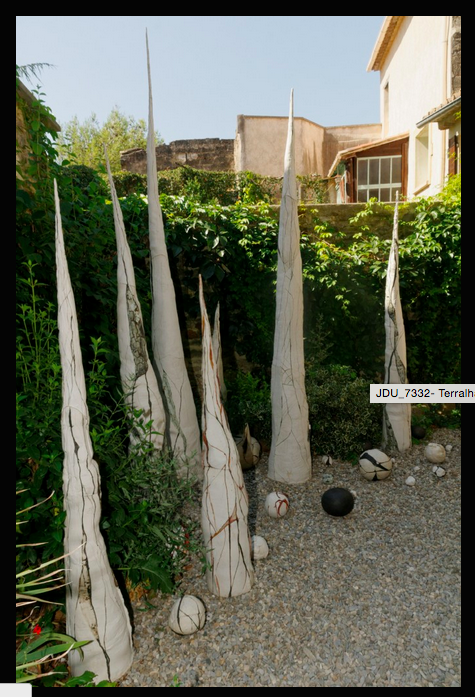 This four-day festival of ceramic art – which has now been around for more than 30 years – takes place every year in the picturesque town St Quentin-La-Poterie in the Gard region of France. 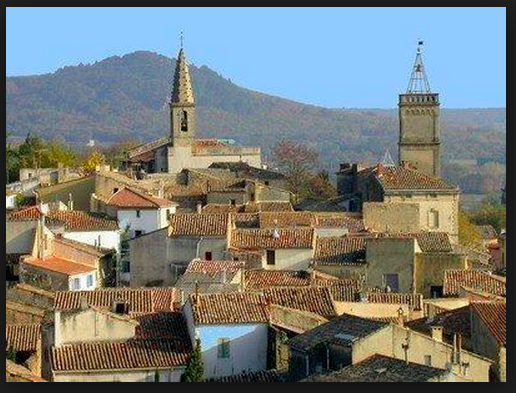 Pottery has long roots here: it reaches back to at least Roman times but today still many artists make St Quentin their home, living and working in the old stone houses of its medieval centre and selling directly to the public from their studios. Looking, buying and talking about ceramics has long been one of the unique pleasures of this very special place. 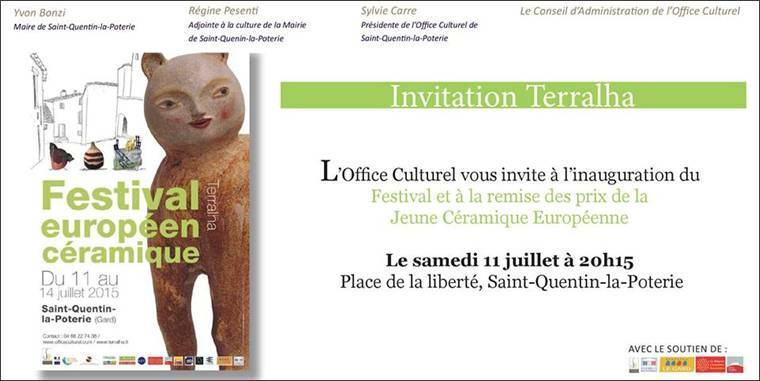 ‘Terralha’ is the name of St Quentin’s Ceramic Arts Administrative centre. The purpose-built premises include a museum, focussed on the historical dimensions of this type of art and an exhibition space, dedicated to changing displays from all over the world. It is this interface between the precisely local and the broader international that makes the St Quentin festival so distinctive. To be selected as an ‘exhibitor’ for the annual Festival is an achievement: the field is highly competitive: every year only 40 artists are selected by a jury and on the strength of a ‘dossier’. Twenty exhibit their art in the dedicated Terralha space; 20 more are given spaces and niches in the town ad these imaginative locations are chosen to highlight the unique aspects of their work. 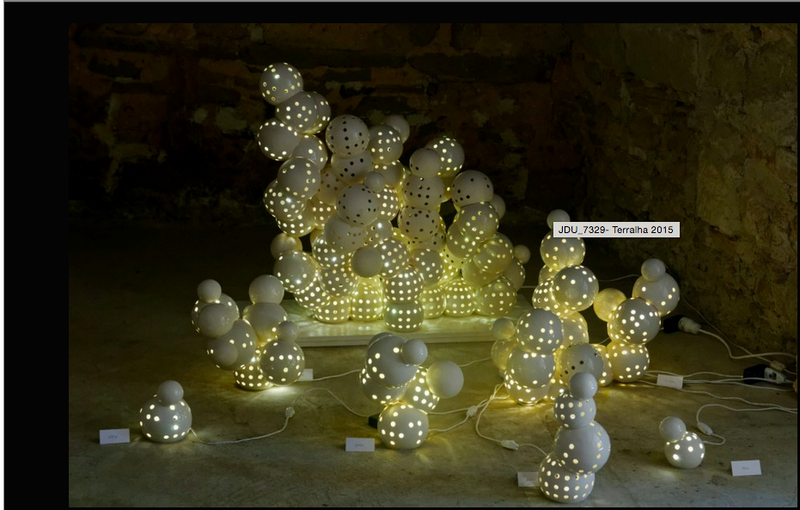 And so it came to pass that Jovana Cavorovic from the Blatobran Studio in Belgrade became the first ever Serbian artist to be invited to the Terralha Festival. Her enormous, illuminated organic constructions were transported across difficult borders and re-erected in the special settings of St Quentin where amateurs and professionals, buyers and sellers, locals and tourists – no less than 4,600 festival visitors for the four-day festival – could see and experience their dimensions and beauties for the first time. Jovana (far left) along with her fellow artists, including this year’s prize winners: Zélie Rouby, Ismaël Carré and Nathalie Jover and Qihui Huang. It is exactly these sorts of creative connections that have been the principal animus of my blog: writing about as well as actively creating networks between artists in the Balkans with those living and working beyond. In August I left Serbia for Tel Aviv and thus I travel towards new artistic horizons….But there is one more post about Belgrade that I need to make before I close. Once again it will commemorate some recent cultural networking, this time using print as the artistic connector between Serbian art and British punk.